Charles and Boog trade licks, and instruments. While singing a duet. Second Chance Saloon, Ann Arbor, Michigan. 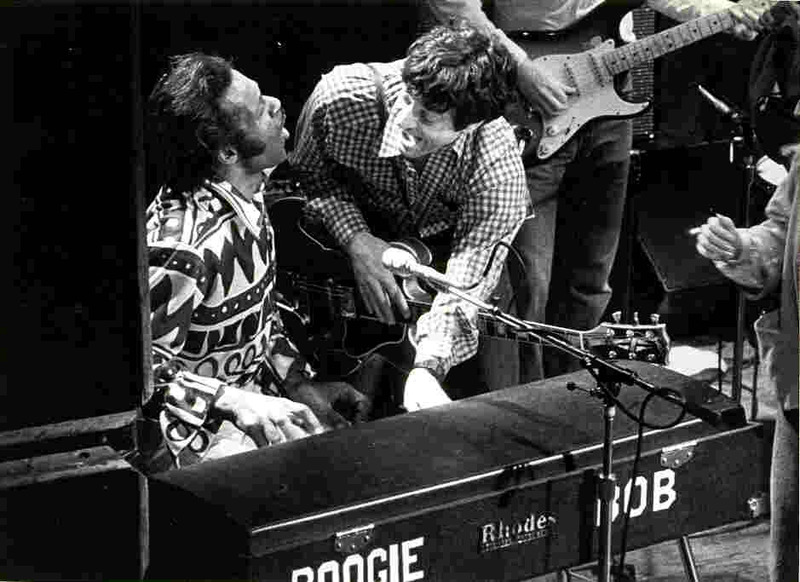 This was in the days of the Fender Rhodes, another back breaking piano that has its own, unique sound. Funky, but more appropriate for jazz than backbeat R & B. The next step was the Yamaha CP-70, which was even more back-breaking, but at least sounded right.